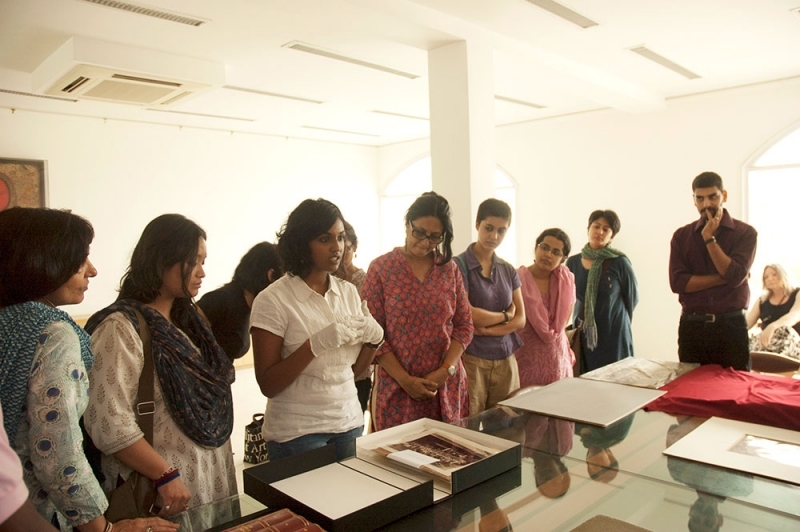 The Foundation organized a workshop with the students and faculty members of the School of Arts & Aesthetics, JNU. The event was organized under the aegis of SPEAR as collaboration between the artist Pushpamala N. and Rahaab Allana the foundation’s Curator. 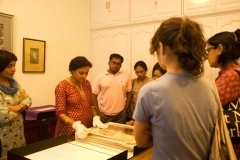 Students were taken around the archives and were exposed to the different formats developed and used for photography in India from its beginnings in India in the 1840s. The students were encouraged to engage with the practice of Studio photography in India by Pushpamala and were given practical experience and exposure to the functioning of a photographic studio in India.